Alright, so I LOVE my eggs and pretty much every morning I prepare 3 eggs for breakfast with some new organic product or some remaining veggies from the prior night. You'd figure I would become weary of eggs however I don't! Eggs are extraordinary, anyway in the course of the most recent couple of weeks, I have been moving myself to switch up my morning meal a bit. Your body needs a break from a similar nourishment things, and as I generally state… It is essential to have assortment! Breakfast nourishment isn't the main sustenance that I have to switch up! Here and there I get somewhat wore out on meat! I know, pretty much every feast of mine contains meat… so once more, I challenge myself to have a couple of "meatless suppers." How about you, what do you eat again and again, anything?? So I figured I would impart to you a portion of my most loved breakfast thoughts! We should switch things up a bit! 2–4 tbsp gelatin (optional) (I am not talking about J-E-L-L-O gelatin, I am suggesting Great Lakes Gelatin, a quality gelatin from a grass fed source) See the remaining post after this recipe to learn a little more about gelatin. 1–2 cups ice, depending on how thick you want it. 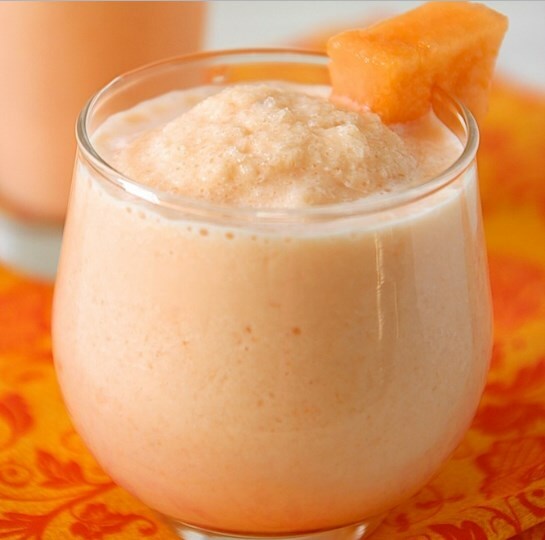 Place all the ingredients, except the gelatin, in a blender and blend until smooth. Put your gelatin in a small bowl and dissolve it in a little water. Visit bit.ly/2v1rFXu for full instructions.